Get started with the right gear and instruction. 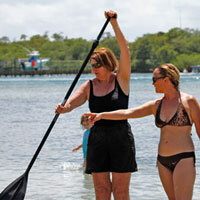 We offer paddleboarding lessons, and tours. Please call the shop at 561-427-0240 to make a reservation.